Mayor Bloomberg was asked on Tuesday about the NYPD’s profiling of American students of Muslim background over multiple states, and the response of multiple university communities (including Yale, Rutgers, and UPenn) against the NYPD’s practice. In other words, pace the Mayor, the NYPD was not only thinking about religion, religion was the category that the NYPD used in profiling the Muslim students. You have to respect people’s right to privacy. You have to obey the law. And I think the police officers across this country, at the federal level, state level, the city level, do that. But having said all of that, you are not going to survive, you will not be able to be a journalist and write what you want to say if the people who want to take away your freedoms are allowed to succeed. Great… We don’t want the “people who want to take away your freedoms” [terrorists] to succeed. 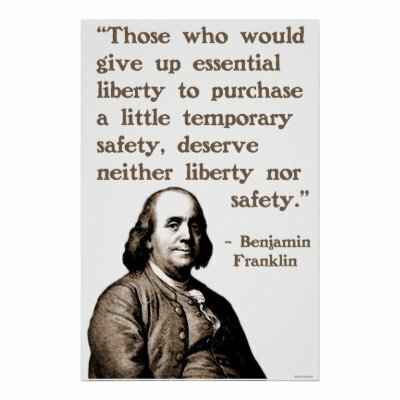 So to make sure that they don’t succeed, we will take away our own freedoms. To make sure others don’t destroy what’s so great about America, we’ll destroy ourselves. Take that, terrorists! You didn’t get to destroy us after all. We did it to ourselves. Mr. Bloomberg, where you are choosing to stand in this time of crisis is unbecoming of the leader of one of the most cosmopolitan cities of the world. Mr. Bloomberg: This choice between “essential liberty” and “a little temporary safety” is a false one, and unworthy of our American Dream. Mr. Bloomberg: By profiling, spying on, and marginalizing the weakest and most vilified citizens of our country, you trample on the liberties of all of us, and fail to deliver us safety. Two losses, with no gain. Mr. Bloomberg: During the false “Ground Zero Mosque” controversy (more properly, the manufactured Park51 controversy), you so brilliantly made a case for the pluralistic history of America, and what we as New Yorkers stand for. You were bold, inclusive, indeed a visionary. Where is that courage now? Mr. Bloomberg: You become a leader by serving all of your citizens, including the Muslim ones, not by stepping on some during times of fear. Mr. Bloomberg: You, and we, can do better. You, and we, must do better. Photo of Bloomberg is from here. Image of Ben Franklin is from here.